VetRxDirect is concerned for the privacy of our customers. We do not sell, rent, or disclose your personal information. All credit card transactions are completely secure using industry-standard encryption. You can buy online with confidence knowing your transactions are safe with VetRxDirect. We use Secure Sockets Layer (SSL), the e-commerce standard in transferring data to process online orders. The SSL encrypts, or translates, your personal information into an unreadable secure code, which is processed immediately. When you've finished shopping and begin the checkout process, you will move into the secure area of our site. Once you've entered, the page address (URL) will change from http to https, indicating you have progressed to a secure area. You will remain in this secure section of our site for the entire checkout process. In the extremely unlikely event anything happens with your credit card information, we will assume all liability. VetRxDirect will work with your credit card company to cover any incurred costs and minimize any possible complications. Cookies are unique identifiers we transfer to your system to help us recognize your device and to provide features such as displaying related products, personalized advertisements on other web sites, and maintaining cart contents between visits to our site. VetRxDirect is committed to providing you with an outstanding online shopping experience. 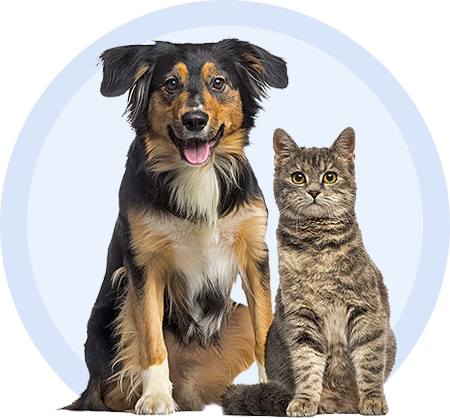 We respect the relationship you have with your veterinarian and will work with your veterinarian's staff to quickly deliver the best pet medications to your door. Returns are easy for unopened and unrefrigerated over-the-counter (OTC) products. Please see our Return Policy for more information. Our return policy does not include products compromised by preventable temperature exposure. Please consider your delivery address and environment when placing orders. Our site is SSL-secured and your information is safe with us. We will never share, distribute, or sell your personal information.